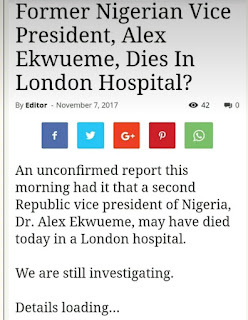 Home / Unlabelled / Former Nigeria Vice president Alex Ekweme "may" be dead. 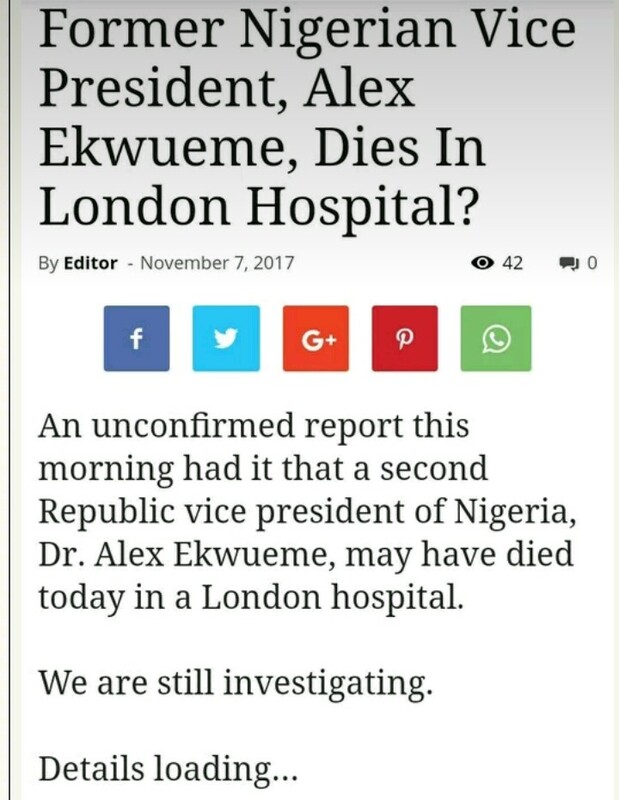 Former Nigeria Vice president Alex Ekweme "may" be dead. 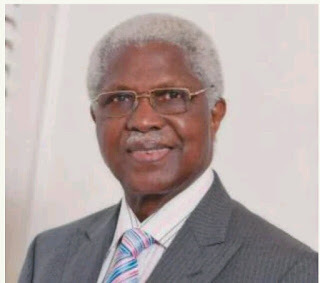 reportedly collapsed in his Enugu residence two weeks ago. 2017, admitted into hospital for a chest infection. spirits up till his recent health challenges. between 1979 and 1983 in the Shehu Shagari administration.